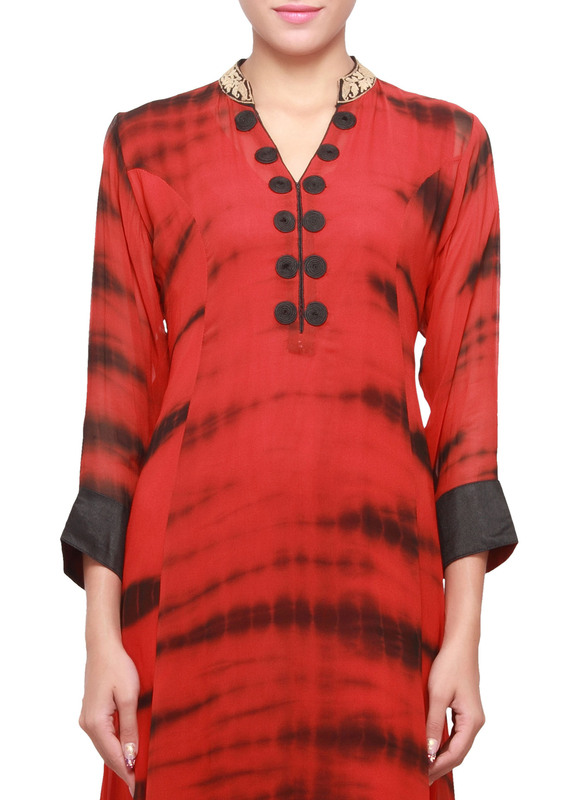 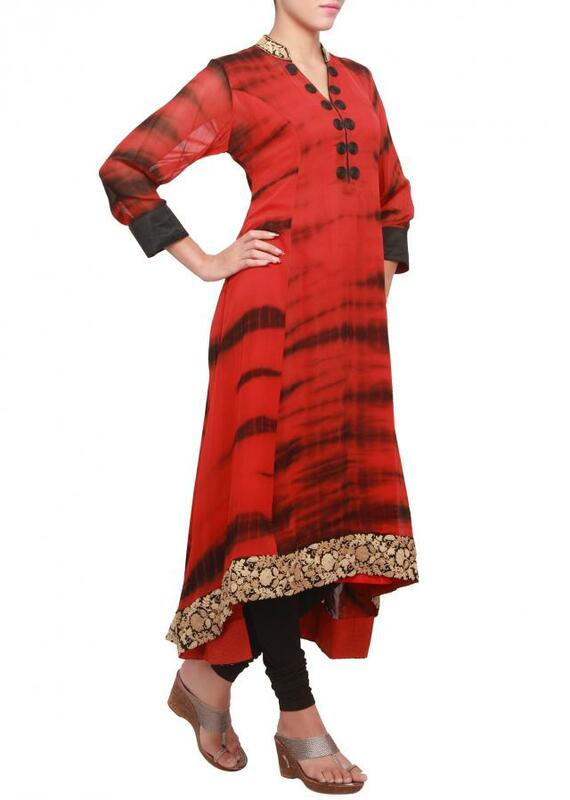 A high-low kurti featuring with red and black dyed georgette. 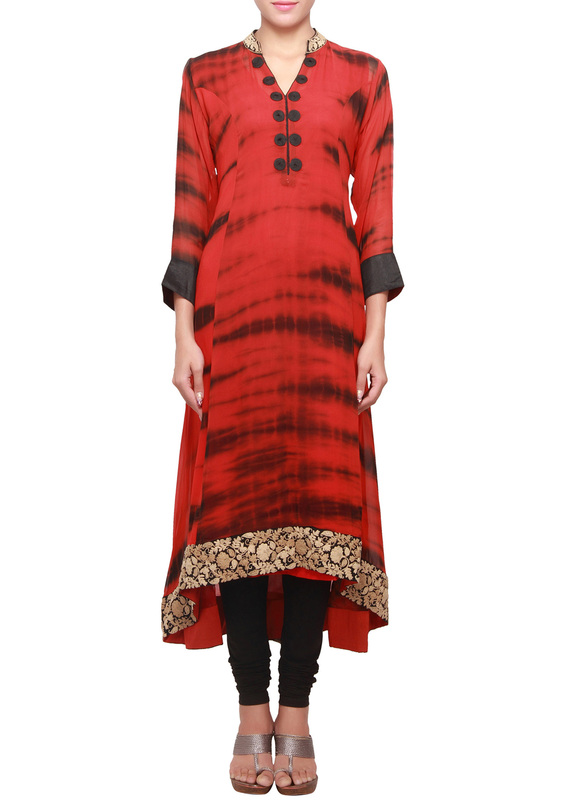 Collar is embellished in thread work. It comes with red cotton silk lining. 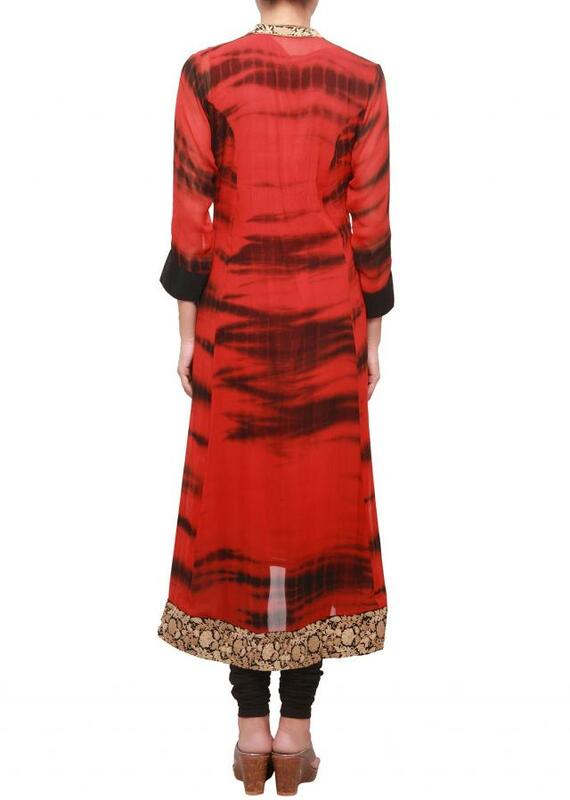 The length is 50 inches.